Perlmutter Cancer Center at NYU Langone said today it has launched a multidisciplinary center of excellence focused on developing new approaches to diagnose, treat and prevent pancreatic cancer. The new Pancreatic Cancer Center is designed to bring together laboratory researchers, surgeons, oncologists, geneticists and others throughout NYU Langone to create a comprehensive care model to address the disease. Interdisciplinary “team research” will involve all areas of medicine from basic science, through drug development, to implementing new treatments in clinical settings, NYU Langone said. The new Pancreatic Cancer Center will be led by pancreatic cancer surgeon and researcher Diane M. Simeone, M.D. 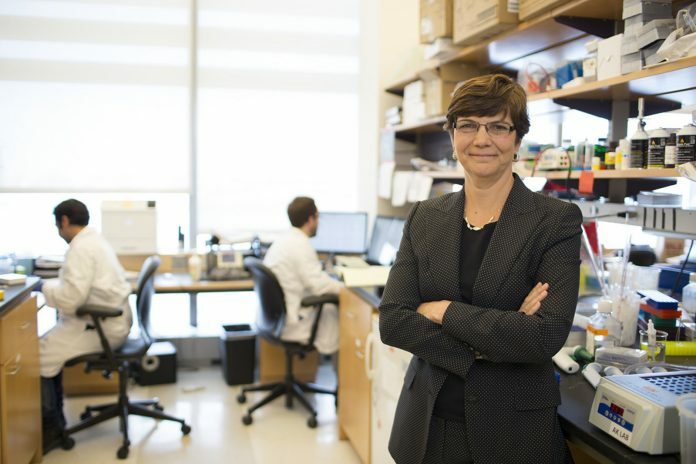 She joined NYU Langone’s faculty in March from University of Michigan's Comprehensive Cancer Center, and is the incoming chair of the Scientific and Medical Advisory Board of the Pancreatic Cancer Action Network. “We will advance the most promising laboratory findings to the clinic in the shortest possible time, improve clinical trial design and efficiency, facilitate data sharing, and capitalize fully on technologic advances that will one day lead us to an early detection test for pancreatic cancer,” Dr. Simeone said in a statement. At NYU Langone, Dr. Simeone heads a pancreatic cancer research team at Perlmutter Cancer Center. Dr. Simeone will help recruit additional investigators and clinicians, while she and colleagues will continue to investigate key molecular events in pancreatic cancer development, specifically identifying biomarkers for early detection and new therapies that improve survival. The Pancreatic Cancer Center will also focus on managing pancreatic tumors and accelerating the translation of lab research to clinical practice, NYU Langone said, with a strong emphasis on assessing genetic predisposition and evaluating risk factors for pancreatic cancer in patients. Patients at the Pancreatic Cancer Center will be able to access a team of clinicians, most of whom will be located or will practice at Perlmutter Cancer Center's main facility in New York City, on East 34th Street and 3rd Avenue. Patients also will have the opportunity, when appropriate, to enroll in clinical trials assessing potential pancreatic cancer treatments, NYU Langone said.